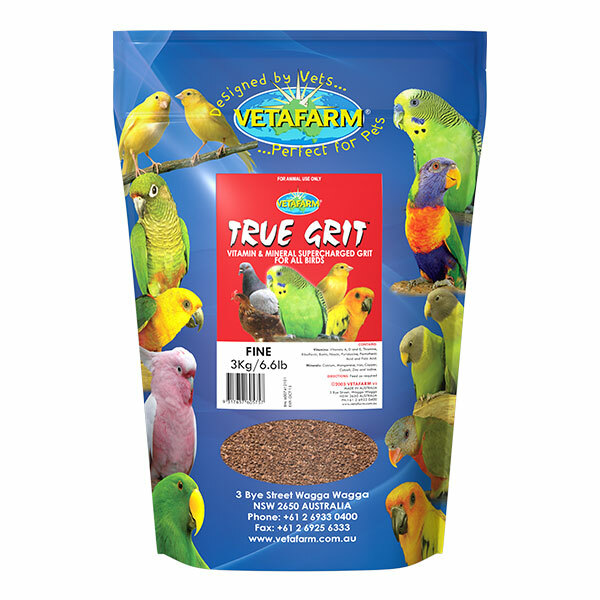 Quality and variety are two of the most important ingredients in a healthy diet and more importantly a healthy lifestyle for your pet parrot. 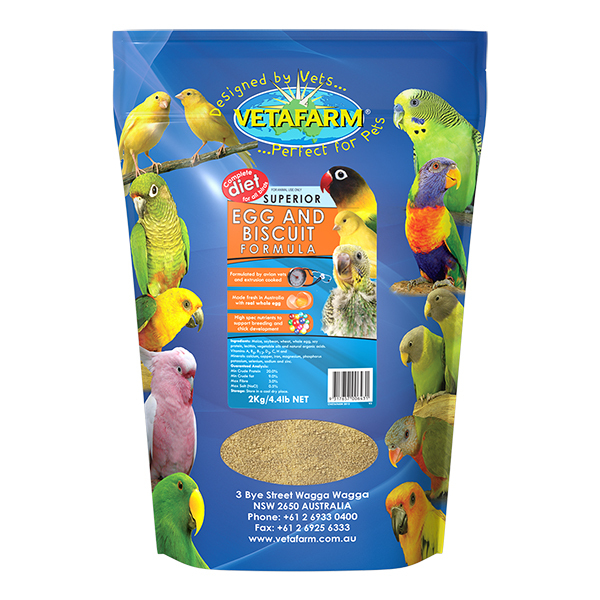 Vetafarm Deli-Stix provide for these crucial needs by supplying a variety of high quality natural ingredients and a sprinkling of veterinary formulated pellets. 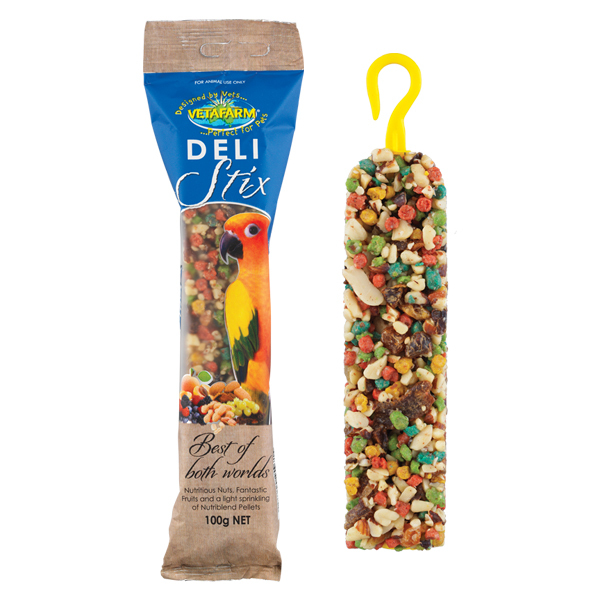 Designed to provide your bird with natural variety and foraging experience. 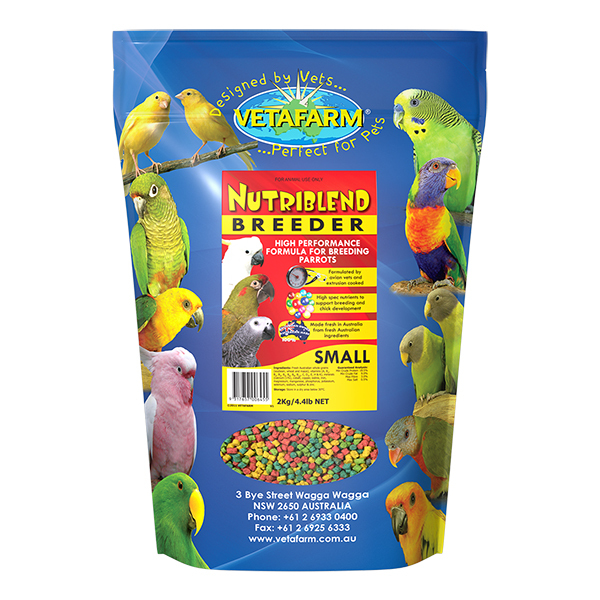 Nutriblend Pellets containing: Vitamins (A, B6, B12, C, D3 and E), minerals (calcium, copper, iron, magnesium, phosphorus, selenium, sodium and zinc), lysine, methionine, vegetable oils, and natural organic acids. Whole grains, apricot, seasonal fruits, almond and peanut.